Depending on their intended use, portable extinguishers store specific “extinguishing agents,” which are expelled onto the fire. PRESSURIZED WATER MODELS – are appropriate for use on Class A fires only. These must never be used on electrical or flammable-liquid fires. CARBON DIOXIDE – extinguishers contain pressurized liquid carbon dioxide, which turns to a gas when expelled. These models are rated for use on Class B and C fires, but can be used on a Class A fire. Carbon dioxide does not leave a residue. 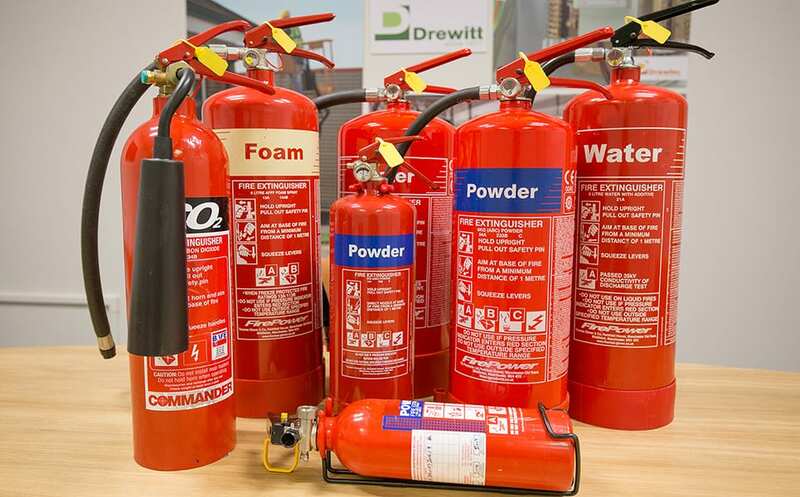 DRY CHEMICAL – extinguishers are either stored-pressure models or cartridge-operated models. The stored-pressure models have a lever above the handle for operation. The cartridge-operated models require two steps: Depress the cartridge lever, and then squeeze the nozzle at the end of the hose. The dry chemicals leave a residue that must be cleaned up after use. AMMONIUM PHOSPHATE – dry chemical can be used on Class A, B, and C fires, but should never be used on a fire in a commercial grease fryer because of the possibility of reflash and because it will render the fryer’s automatic fire-protection system less effective. SODIUM BICARBONATE – dry chemical, suitable for fighting Class B and C fires, is preferred over other dry-chemical extinguishers for fighting grease fires. Where provided, always use the extinguishing system first. This also shuts off the heat to the appliance. POTASSIUM BICARBONATE, UREA-BASE POTASSIUM BICARBONATE, and POTASSIUM CHLORIDE – dry chemical are more effective and use less agent than sodium bicarbonate on the same fire. FOAM or (AFFF and FFFP) EXTINGUISHERS – coat the surface of a burning flammable liquid with a chemical foam. 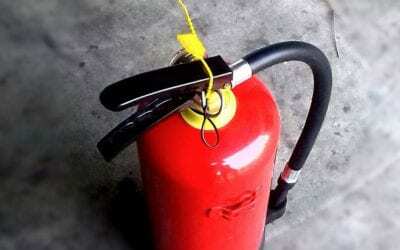 When using a foam extinguisher, blanket the entire surface of the liquid to exclude the air.